That wasn’t the only change to the 2011 survey standards; they became the 2016 standards. Thus, we’ll all want to refer to the “2016 ATLA/NSPS” ones. What are the other changes, trivial and a little less trivial? Here are some highlights. Mostly for clarity, and probably not really a change, to order a complete survey we’ll need to furnish the surveyor with a complete copy of the most recent title report. If one isn’t available, then the surveyor needs to receive title evidence that satisfies the title company. Moreover, the surveyor must be furnished with copies of the recorded documents that show the current record descriptions of any “adjoiners to the property to be surveyed” unless those adjoining properties are in platted, recorded subdivisions. Copies of recorded easement benefiting the property must be furnished as must be recorded easements, servitudes or covenants that burden the surveyed property. Importantly, the surveyor must be furnished with any unrecorded documents affecting the property (if you want that information to show on the survey). What happens if these documents aren’t furnished? Answer – the surveyor only has to do such research as local law requires or is specifically included in your agreement with the surveyor. Those readers “in the know” know that when ordering an ALTA/NSPS survey there is something called the “Optional Table A” and it consists of a list of (now) 20 “Optional Survey Responsibilities and Specifications.” They “may” be negotiated between the customer and the surveyor. In practice, survey orders always include a request for the Table A items, though it is overwhelmingly common to expressly “exclude” certain requirements. A typical exclusion is the request to include contour information (item 5). So, one can order a survey with the entire Table A items except for “x, y, and z” or with items “a-g, l, m, and p” as shown on Table A. Either way, when specifying what you want in the way of a survey, whether as a requirement in a loan deal or a lease deal or some other deal, or when telling the surveyor what you want, you can’t ignore Table A. In the 2011 standards, asking for above ground evidence of utilities was an optional Table A item. It is no longer optional, having been integrated into the baseline 2016 standards. It is no longer mandatory that adjoining property owner’s names be shown on the survey. That is now an optional Table A item. Table A previously included the option of having the current zoning classification or setback requirements or height and floor space area restrictions shown on the survey and the surveyor appeared to be the one responsible for researching that information. Now, if anyone wants such information on the survey, the surveyor must be furnished with a zoning report. If the zoning report makes clear where such items as the setback lines should fall, the surveyor will draw them in place. If not, then not. As to depicting wetlands on a survey, revised Table A calls for the customer to engage a qualified specialist. Otherwise, the surveyor is not required to show the wetlands boundaries. The old Table A had a pre-printed option that would require the surveyor to show or place survey markers (monuments) at off-site locations where an easement or servitude benefitting the surveyed property might be located. That item has been deleted from the 2016 version of Table A, but can be added at the end of the list of requirements on the blank line provided or on an extra piece of paper, so to speak. Of course the surveyor would need to agree as would the owners of any lands onto which the surveyor might need to traipse. Table A now has a clear option that would call for plottable offsite easements or servitudes to be shown on the survey. There are a passel of other changes, none of which we think many survey consumers care about or ever thought about. 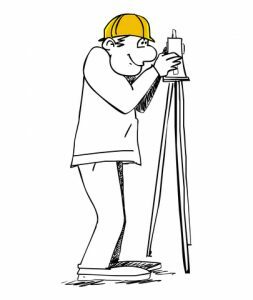 To Ruminations, these changes appear to serve as a checklist for surveyors and seem to recite items that we usually see on surveys without ever having thought about them. For example, walls and other physical features outside of, but within 5 feet of the property line, must be shown on an ALTA/NSPS survey (“unless physical access is restricted), but landscaping need not be shown unless the landscaping provides evidence of possession. Is that a change or clarification? We don’t know, but our gut tells us that it is the latter. To say this differently, it appears that the 2016 standards now memorialize what are prevailing practices. None of this is to say that there aren’t changes that might resolve former misunderstandings in individual cases. We think there are. By way of example, surveys need to show the record description of the property and, if a new description arises out of the survey, must also show the new description. Now, however, an explanation of the differences must be noted on the survey. A lot of the surveyor “jargon” has been updated, tons it would seem. Lots of little things, substantive, but not very substantive, have been changed. Those survey aficionados who haven’t yet read through the new standards would be well advised to do so. That way you’ll be able to fool people into thinking you are a savvy surveyor. With that in your knowledge base and with the secret handshake, you’ll be able to sneak into NSPS meetings. By way of example, none of us should say, “relative positional accuracy” any more. From now on Ruminations will be careful to say “relative positional precision.” OK, we’re having a little (hopefully harmless) fun and confess that in 1962 we attended a two week surveying camp and actually know the difference between accuracy and precision. Hopefully that gives us permission to make a little “inside” fun. Why has Ruminations spent today going over this kind of topic? That’s because we think that if any of us is going to require someone else to obtain a survey or is going to order a survey, we ought to know what we are doing. Knowing about surveys is part of the toolkit that real property practitioners need – part of our knowledge database. Those of us who have always thought that just saying “survey” was enough ought to read the ALTA/NSPS standards. They are only 13 pages, including “that” optional Table A. Those of us vaguely familiar with the standards should do so as well. Those of us who stay up at night waiting for the arrival of new standards have already read them and thus bailed out of this blog posting before this point. Let’s all remember that “knowledge is power” or as Sir Frances Bacon put it so well, “ipsa scientia potestas est.” The 2016 standards can be seen by clicking: HERE. Subscribe here for automatic updates. Rob on What Is The Lifespan Of A Lease After The Stated Term Ends? Elliot L. Warm, Esq. on Why Do I Want/Need A Waiver Of Subrogation? Stephen Anderson on Why Do I Want/Need A Waiver Of Subrogation? Disclaimer: Ruminating and rambling can easily be confused. There are a lot of dictionary meanings for “ruminating.” Our favorite (today) is: “to turn a matter over and over in the mind.” That sounds a lot like “rambling.” For that reason, no one should mistake anything written on this blog as resembling legal advice, even when written by an attorney —not the original blog entries, and not any comments. This blog is intended to be a discussion board for concepts–some flakey, some not–that affect Retail Real Estate Law. Please join that discussion. Copyright © 2019 Meislik & Meislik. All rights reserved.